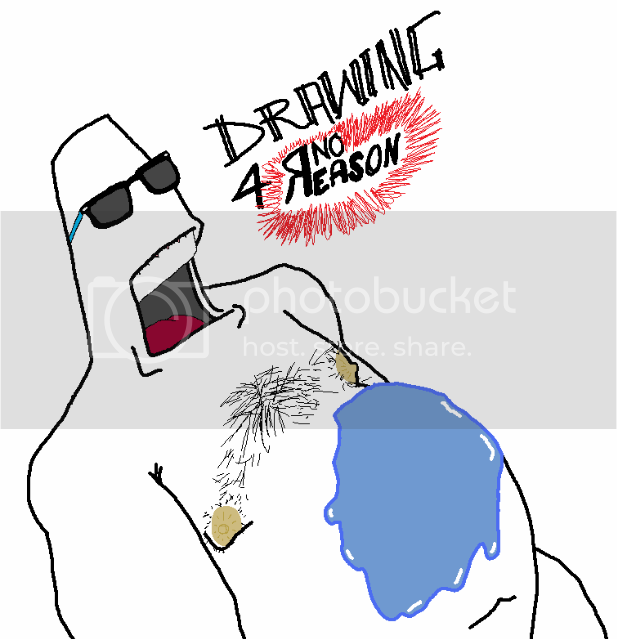 Gimme some suggestions for mspaint arts. Also nothing overtly sexual (ie no dicks, vags, etc) or racial. Anyone else who wants to join in, please do. 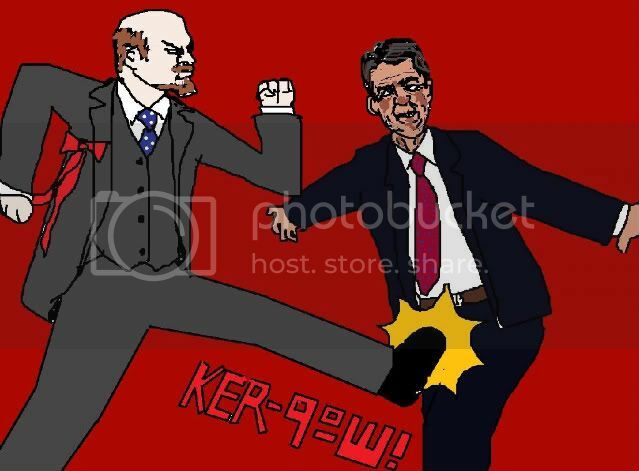 Punching Reagan in the face? How bout Lenin and Stalin teaming up against Reagan. Yeah, ask a Trotskyist to give you a picture of Stalin on the same side as Lenin. Great. Fine have all 3 of them working together. It can be during the Revolution era. Also, shoulda been Stalin, man, shoulda been Stalin... Lenin is just too cool to mess around with dopes like Reagan. ^ agreed. Lenin would reduce Reagan to shuddering tears in his presence. 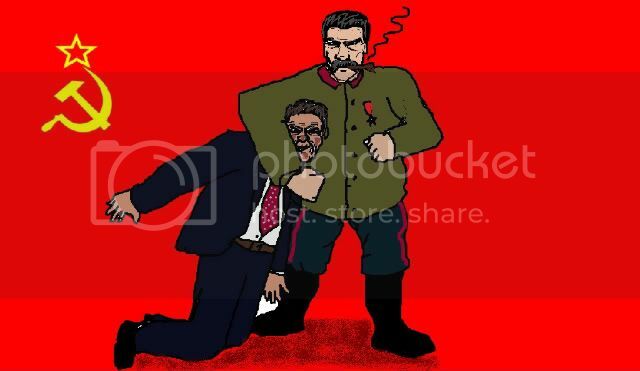 I'm not very good at drawing Stalin, but if it makes you feel better I can do him with Reagan in a headlock. Awesome drawing, Jingle_Bombs. I chuckled at the thought of Stalin owning Reagan and made that dog cower in fear at the sight of him.